These are the two core values, fundamental to an international company, according to which Texpack has developed and achieved its growth and which it keeps under constant and continuous control. The aim of Texpack is the continuous improvement in quality of its products, an activity that the company has established as its primary objective and has engrained into its culture. 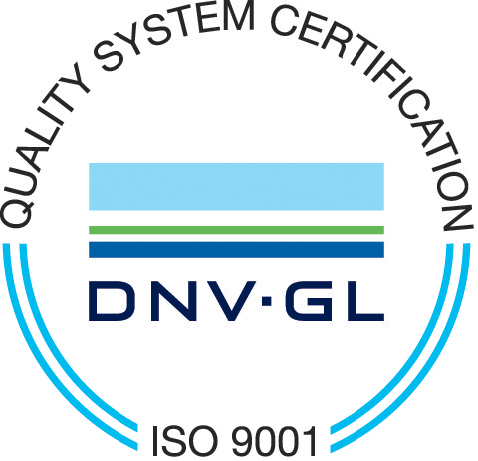 The ISO 9001 certification, a source of pride for Texpack since 2001, is testament to the quality of its products and the results achieved from its production and management processes. Texpack is in continuous communication with the Quality Office to ensure that quality standards are continuously achieved and monitored. Texpack works with the best firms on the market, making it the ideal partner for sharing solutions and technical developments. In order to achieve and improve quality, Texpax has continued to invest in a constantly upgraded machine inventory, and provides automated product checks. Texpack wishes to provide its customers with increasingly valid, highly technological products that offer the user a guarantee of efficient use and can be used in complete safety while achieving the highest standards required by the market. Product quality is also achieved by working with selected suppliers of products and services in order to increase the level of quality of the product made. This is the result of the spirit of collaboration and attentions of all staff, which is prevalent in all company positions and oriented towards process quality. A culture of process improvement is promoted in order to achieve a continuous and constant development of services and products made. The process is also applied to optimisation of the production chain, in order to reduce waste and improve all activities of the many levels. The results of this philosophy are evidenced by the many customers acquired in the various markets. For this reason, Texpack carefully follows the instructions of authorities.